People cannot live without hope. The long night of the eight Bush years was tolerated only because many of us believed it would come to an end. That Obama seized on that belief better than his Democratic opponents is a testament to the high expectations people had that regime change in Washington just might bring about a better life. 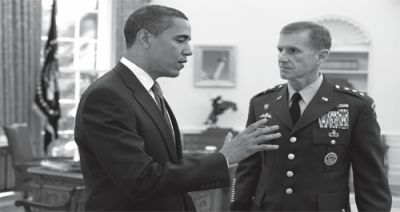 While Hillary Clinton, his main primary opponent, evoked the traditional symbols of military preparedness combined with liberal domestic policies, Obama steadfastly preached the gospel of peace and hope and carefully avoided making lavish promises. Clinton won the backing of most organized labor, women’s organizations and major Democratic politicians. But Obama, the only fresh face in the gallery of candidates, outmaneuvered the traditional party dons. With little support at the top, Obama went for the grassroots, correctly gauging the country to be fed up with the old ties and old ideas. Obama had the advantage of being African-American, even though many black politicians had hopped on the Clinton bandwagon early in the campaign. But Obama’s not-so-secret weapon was his appeal among youth who, responding to his bold message of hope and change, came out of the woodwork by the thousands to volunteer in his campaign, trudging door to door in the cities and tipping the balance in states like Virginia, Pennsylvania and Ohio. They also delivered much of the West to the insurgent. What befuddled the pros and the pundits was Obama’s ability to mobilize youth who chronically stay away from the polls, largely because they see little point in voting. He seemed to have the power to make them believe in the system. Although the overall vote count was not remarkable compared to past presidential elections, the proportion of voting youth and blacks helped give Obama a relatively easy victory over John McCain, the lapsed maverick. 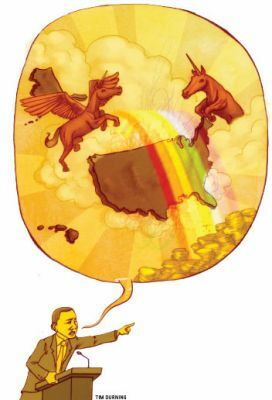 For many who voted for Obama, 2009 has been a year of deep disillusionment. The degree to which the Obama administration revealed its basic war and big business orientation was first shown by his major cabinet and staff appointees. Robert Gates, Bush’s defense secretary, was retained; Hillary Clinton, perhaps the Senate’s leading hawk, became secretary of state; the crucial position of treasury secretary went to a Federal Reserve bureaucrat and Wall Street ally, Tim Geithner; and Lawrence Summers, Bill Clinton’s last Treasury head, became Obama’s chief economic advisor. What was obscured by Obama’s rousing campaign and nimble rhetoric has become brutally apparent in the aftermath. The Democratic Party has, since the end of World War II, been the favored party of finance capital. That mantle once belonged to the Republicans — the fabled party of the rich and wealthy. But the GOP has sunk into a right-wing party of opposition and no longer pretends to be a party of government. Its cast, begun as far back as the Goldwater takeover in 1964, is anti-internationalist, narrowly ideological and administratively incompetent. Meanwhile, the Democrats live a glaring contradiction: on the one hand, they rely on labor and the new social movements of feminism, ecology and black freedom both for votes and for a large portion of their political cadres. On the other, they need hundreds of millions of dollars to oil the party apparatus and run 535 national election campaigns. Aside from the unions, most of this money comes from corporate sponsors and wealthy individuals. This contradictory existence accounts for several important political realities: Despite a large “progressive” congressional delegation, especially in the House of Representatives, the Democrats’ weight of governance falls on its debts to, and alliances with, leading financial corporations. For example, that the Democrats are forced to sponsor some version of healthcare “reform” cannot disguise the fact that the big insurance companies have called the tune on the legislation. Nor are the Democrats’ ostensible commitments to dealing with global warming as powerful as the influence of the energy giants who have systematically thwarted any attempt to address what may be the defining public issue of this century. And the Obama administration has handled the most profound economic crisis since the Great Depression by continuing the Bush policy of bailing out the banks and insurance companies and virtually ignoring rising joblessness, burgeoning foreclosures and deepening black and Latino poverty. In short, Obama is the perfect manifestation of the contradiction that rips across the Democratic Party bow. According to historical myth, Roosevelt saved U.S. capitalism during the Great Depression by instituting vast regulation of capital. In this tale, the so-called “second” New Deal of social reform was a reflection of the administration’s move to the left. What this version of history fails to note is that these reforms were preceded by a mass workers movement armed with the tools of direct action that, within a few short years, transformed the U.S. workplace. Roosevelt was both appalled and politically astute: from an open-throated voice of capital manifested chiefly in the National Industrial Recovery Act aimed at reviving capitalism by throttling wages, he forged an image of the Democrats as the party of the working people, the poor and the oppressed. That image was, to some degree, backed by concrete steps such as creating Social Security, but it did not take long before the Democrats, spurred by the imperatives of anti-communism and the Cold War, reverted to conservative policies. Except for the progressive legislation of the 1960s — the Civil Rights and Voting Rights Acts, Medicare and Medicaid — there have been no major social reforms since the Fair Labor Standards Act of 1938. As Obama has made plain, the Democrats have retained their character as the War Party. Apart from World War II, which was clearly a bipartisan effort, military interventions in Korea, the Dominican Republic, Vietnam and Kosovo; the opening rounds of the Iraq war in the late 1990s; and the escalation of war in Afghanistan have been the products of the Democrats. Only the two Bush presidents proved equally committed to aggressive foreign military actions. Meanwhile, as the economy continued to sink, the Obama administration, directed by Fed Chair Ben Bernanke, Summers and Geithner, transferred trillions in taxpayer funds to the leading institutions of the financial system. Another bundle went to General Motors and Chrysler, now free to chop jobs at will in order to save their corporations from liquidation. Even as official joblessness climbed to more than 10 percent — and nearly 16 percent among blacks — Obama’s emphasis was on “stabilizing” the financial system. Early on in his presidency, Obama told the country his first major priority was to enact a universal healthcare program. Congress and healthcare movements accepted the challenge and prepared themselves for the long battle ahead. But Obama disappointed again. Instead of sending to Congress a single-payer proposal that would have eliminated the power of the insurance companies, he allowed conservatives and insurance company lobbyists to write much of the bills that passed both houses of Congress. The final version will not include even a watered-down public option, nor will it likely sanction the right of women to have coverage for abortions. Under the legislation, most Americans will be forced to buy private insurance and pay big pharma’s exorbitant prescription drug prices. Obama is an ordinary, though talented, center-right president. While surrendering to the right, he has maintained a sizeable constituency among liberals and even some on the left. That a vigorous antiwar movement has not emerged to fight the war escalations and his betrayals, that there are no major protests against the phony healthcare bill about to become law and, equally important, that we have seen no significant demonstrations for jobs and income testifies to the torpor that has overcome large sections of the U.S. people, including a portion of the left. Among the reasons for this apparent passivity is that we still labor under the illusion that the Democrats are, at least in part, the party of the people and have failed to recognize their vital role in perpetuating capitalist rule. Are we so preoccupied with the myriad personal crises that afflict all subordinate social classes? Are we exhausted in the wake of the battering of the media, the flood of never-ending catastrophes, the defeats suffered by the popular forces? Are the progressive forces ready to occupy the political space of the opposition rather than the “left wing” of the possible that moves ceaselessly to the right? Events belie forecasts so, as America’s wont, the explosion is likely to come as an unexpected hurricane. Perhaps the starting point would be the left’s clean break from the Democrats. For more on President Obama’s first year in office see “Waiting for the Rapture” by Nicholas Powers and “Hope Has Left the Building” by Arun Gupta in this issue of The Indypendent.